The Vanguard-W has been developed for Open Water Lubricated Propeller Shafts. Complete with a Triple Security Lip Seal design the Vanguard-W system has been developed to operate efficiently in all water conditions. The FlowGuard Inflatable Seal will keep your fleet running, by allowing inspection of seals and seal ring replacement without dry-docking your vessel. The design includes the premier composite L2 Marine bearings. 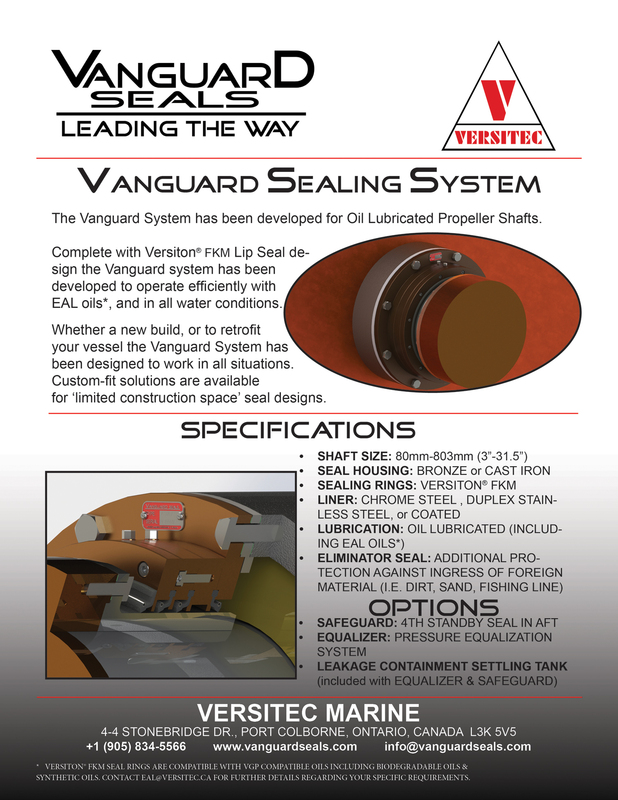 The Vanguard System has been developed for Oil Lubricated Propeller Shafts. Complete with Versiton FKM Lip Seal design the Vanguard system has been developed to operate efficiently with ALL oils (including EAL oils), and in all water conditions. Whether a new build, or to retrofit your vessel the Vanguard System has been designed to work in all situations. Custom-fit solutions are available for ‘limited construction space’ seal designs. Our Vanguard spares are available for all makes and models of stern tube seals and propulsion systems. We offer excellent customer service, industry leading quality, timely delivery and competitive pricing. 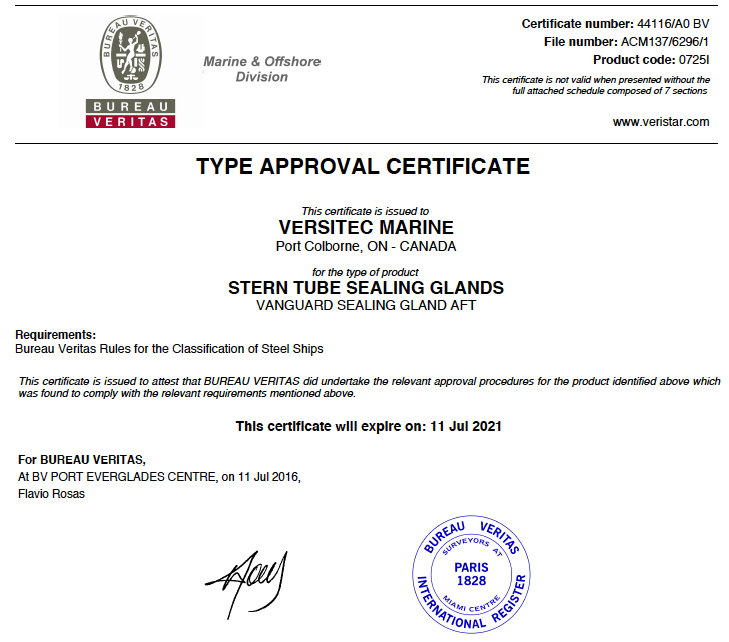 Our team of highly skilled engineers is dedicated to the maintenance and repair of sterntube seals. Whether your vessel is in drydock or afloat, whether the shaft is withdrawn or bonding is required, you can benefit from their years of experience all round the world.